Disclaimer: This is a very biased story. If you are not a Lakers fan, you may get frustrated. Lebron James has arrived in Los Angeles to play some Showtime basketball. As a die-hard fan who has stuck with the Lakers even during the 2015-16 season (the worst in franchise history), there isn’t a greater feeling than right now. 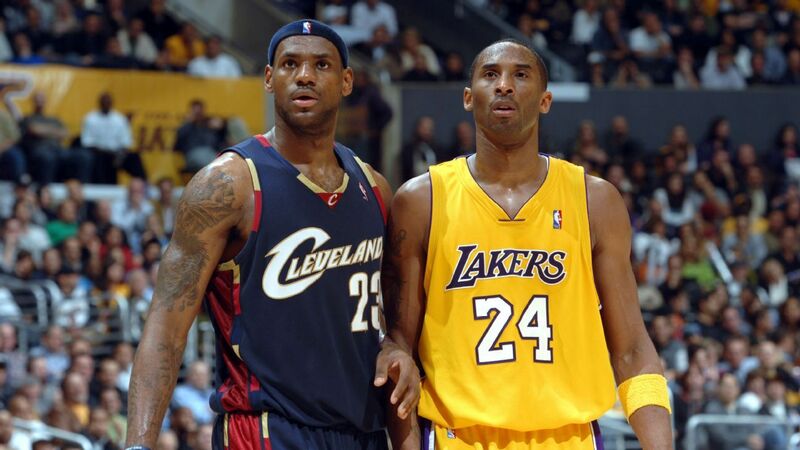 You are not a true fan if you are unhappy with L.A.bron becoming a reality. No, he is not replacing Kobe’s legacy. Kobe Bryant will always be a Lakers G.O.A.T., but it’s time to move on to the future and proceed with what’s best for the team. Along with Lebron James, the Purple and Gold have added Rajon Rondo, Lance Stephenson, and Shaqtin’ Fool MVP Javale McGee to their roster. A mixture of these four veteran players and the Lakers young core made up of Lonzo Ball, Kyle Kuzma, Brandon Ingram and Josh Hart has created a guaranteed playoff making team. I believe that the Los Angeles Lakers will be playing the Golden State Warriors in the Western Conference Finals of the 2018-19 NBA season. I stand firm on my statement. Haters say that the Lakers, at best, are only the third best team in the West under the Houston Rockets, but I disagree. James Harden and Chris Paul can only do so much for their team and adding Carmelo Anthony is a waste of space. Look at how the Oklahoma City Thunder turned out with Carmelo Anthony. He played along two superstar players, Russell Westbrook and Paul George, yet they still lost to the Utah Jazz. Don’t get me wrong, I am a huge fan of the Jazz guard Donovan Mitchell, but they just barely scraped by with luck on their side. As for the Eastern Conference, those will simply be some practice games. The Toronto Raptors have been unable to win a playoff game against Lebron for the past two years and the Philadelphia 76ers won’t make it past the Boston Celtics. Ah, the Boston Celtics. Many fans say that the Lakers and Celtics rivalry has been renewed. It really hasn’t. Only the Lebron James and Kyrie Irving rivalry has been extended. The Boston Celtics can’t manage to stay healthy and are nowhere near the same level as the Los Angeles Lakers (sorry, Jay). Of course, it would be great to win a championship in this next coming season, but as a realist, I’m not saying it will be impossible, but it will be very hard to beat the Golden State Warriors with added superstar Demarcus Cousins. If not this year, then soon. A championship is on its way back to Los Angeles once again. Kawhi Leonard will hopefully be making his way over to the West Coast in the 2019-20 season and with hopes of other 2019-20 free agents like Klay Thompson. Paul George, however, is not welcomed. There are many expectations that the Lakers have to meet this season, but I do not doubt the ability of this new Showtime team at all. It is a great time to be a Lakers fan and this will be a very exciting and fun season to watch. We have waited many long years and now it is our time to shine in Purple and Gold.